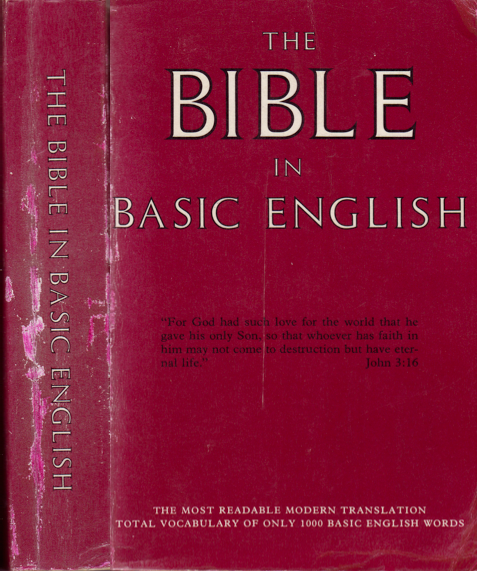 The Basic Bible uses a special English vocabulary called Basic English which is limited to 850 words (for the purpose of translating the Bible, an additional 150 special Bible words were added to bring the total up to 1000 words). This translation was prepared by S.H. 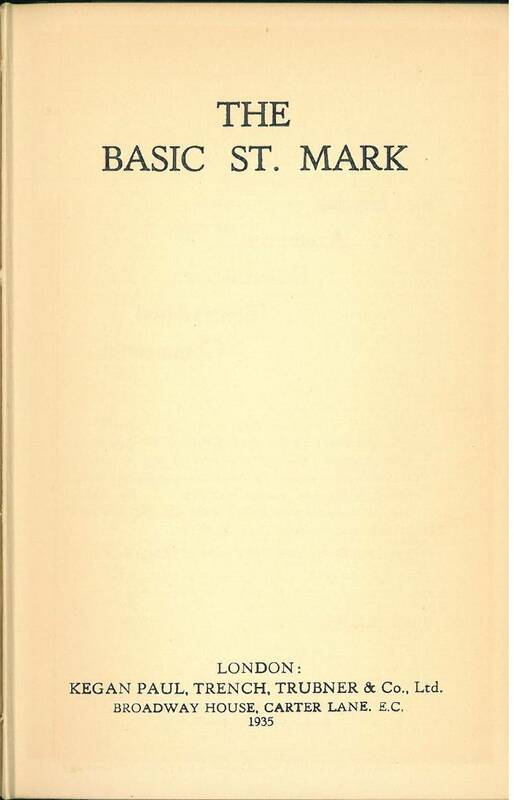 Hooke. 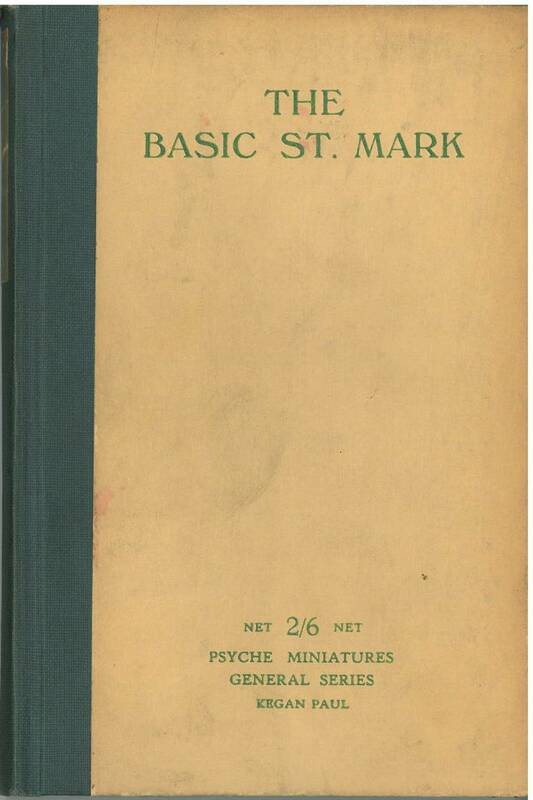 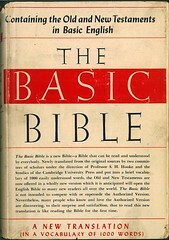 An article on the Basic Bible including the Introduction to the 1965 edition can be found on the Bible Researcher site. 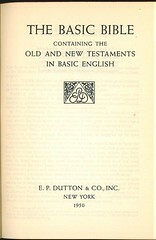 References: Chamberlin 39-1, Taliaferro-EELBV 7905.090. 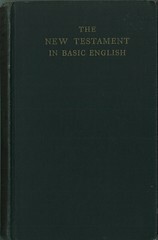 References: Chamberlin 39-1, Taliaferro-EELBV 7905.092. 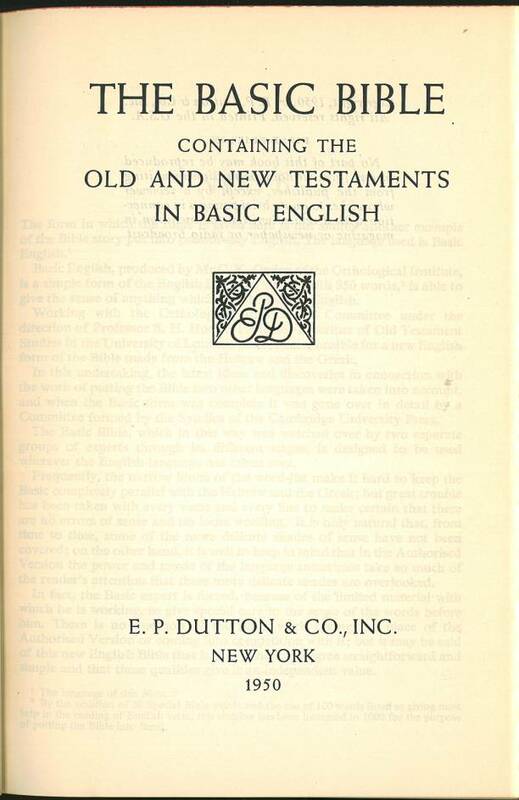 References: Chamberlin 578-3; Hills 2396; Herbert 2277, Taliaferro-BVE CN00034, Taliaferro-EELBV 7905.100. 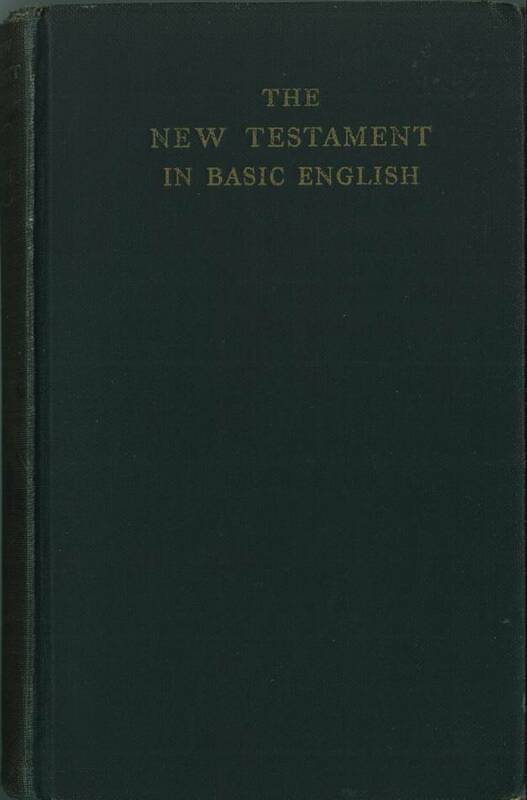 References: Chamberlin 39-1; Hills 2488; Herbert 2295, Taliaferro-BVE CN00034, Taliaferro-EELBV 7905.110. 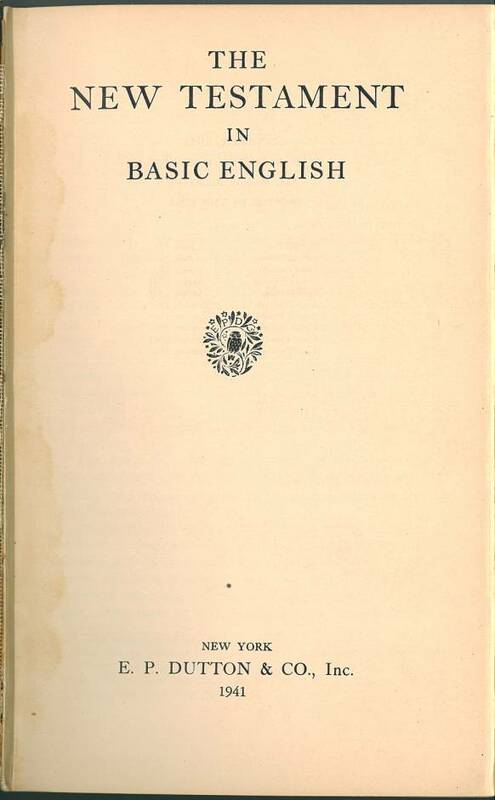 Comments: This is the first American Edition. 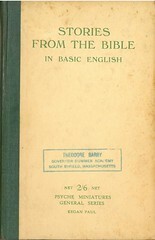 The first edition was published in England in 1949. 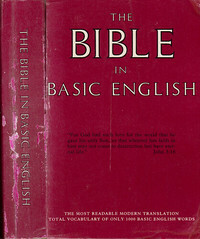 Title: The Bible in Basic English ■ The Most Readable Modern Translation / Total Vocabulary of Only 1000 Basic English Words. 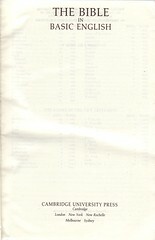 References: Chamberlin 39-1; Hills see 2488; Herbert see 2295, Taliaferro-BVE CN00034, Taliaferro-EELBV 7905.110. 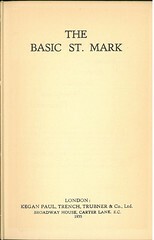 Comments: Paperback octavo, 1122 pp. 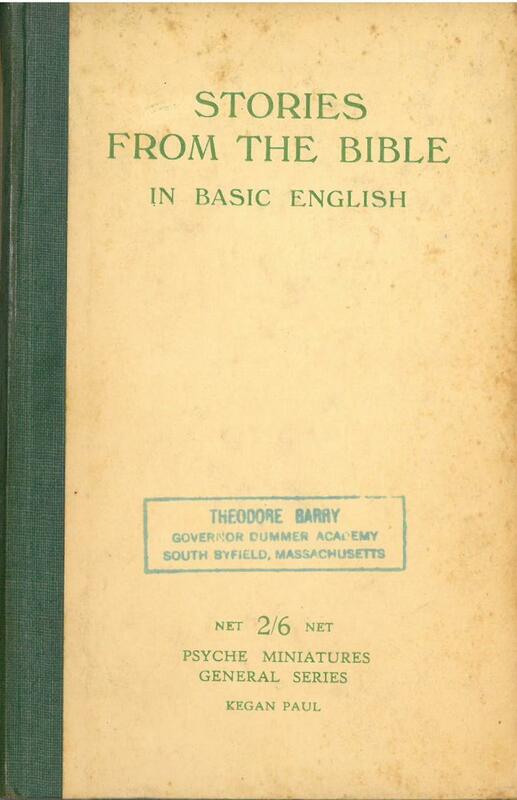 A note states that Samuel Henry Hooke (1874-1968) translated this bible according to standards produced by C.K. 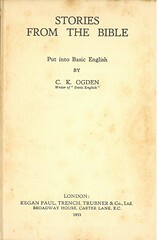 Ogden of the Orthological Institute in England. 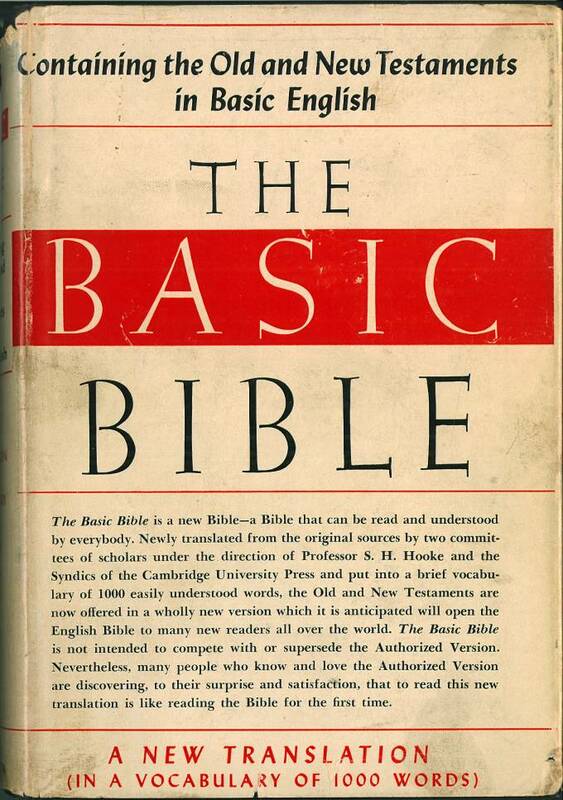 It seems that the translation has been unaltered since the first publication date in 1949. 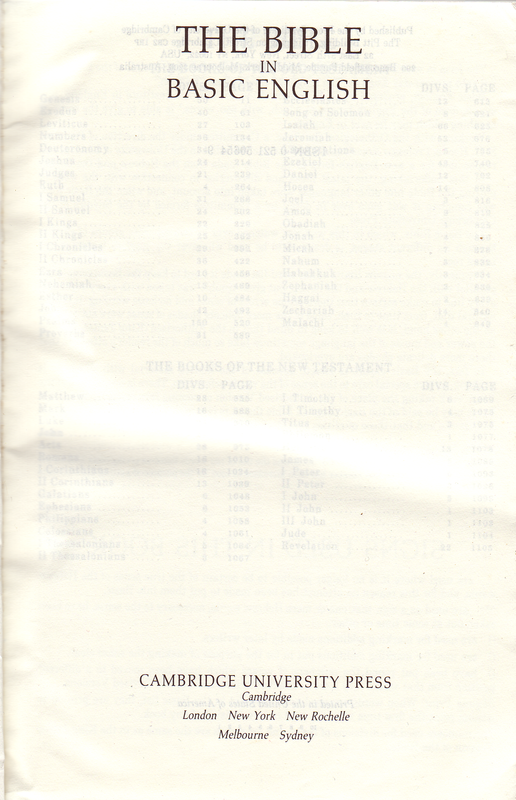 There are no references or remarks, just the plain biblical text in double column with chapter and verse numberings. 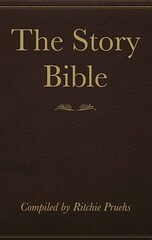 The Story Bible was complied by Verlynn Ritchie Pruehs. 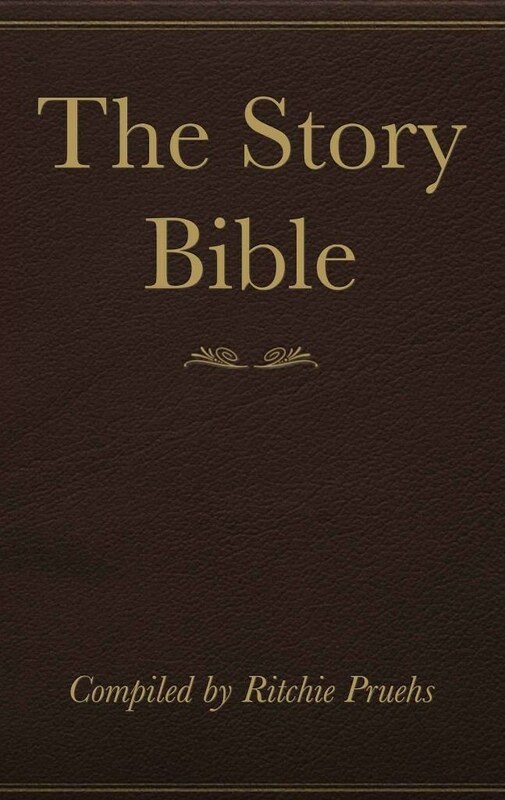 It focuses on the narratives of the Bible. 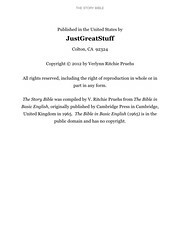 According to Pruehs, The Story Bible removes "those things that are complicated and/or confusing for the new believer, or for anyone who is new to Bible reading". 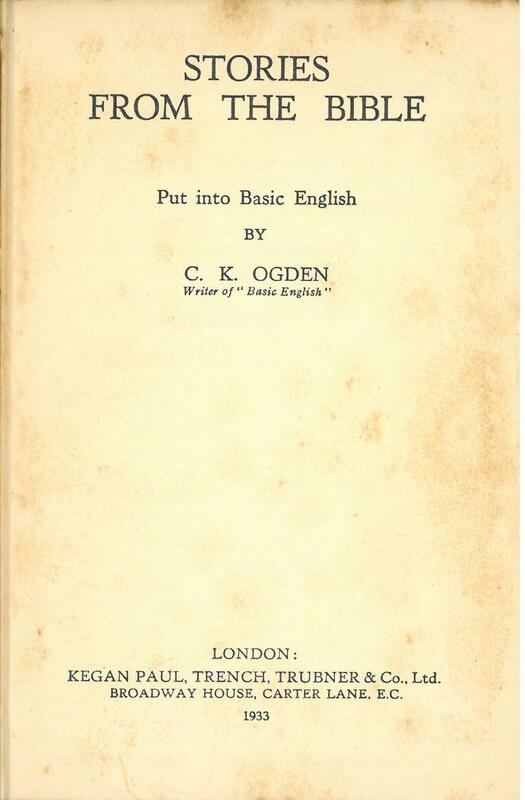 Comments: This is the Amazon Kindle edition; it seems to be only available for that platform.